On Monday 22 October 2018, the Supreme Court ruled that the Minister for Planning’s ‘call in’ for 1-7 Waterfront Place is lawful. The developer had objected stating that the Minister’s call in was not given in time before the VCAT hearing set down for 30 July 2018. The Supreme Court’s ruling means that the Minister’s request stands. The decision can be appealed. The Minister’s letter states that the reason for calling in is that the application raises “…a major issue of policy, and determination of the proceeding may have a substantial effect on the achievement or development of planning objectives”. The ‘calling in’ by the Minister was supported by the Victorian Ports Corporation Melbourne (VPCM), the City of Port Phillip, the TT-Line, the tourism industry, the BCNA and The Hon. Martin Foley, MP. If the decision is not appealed, the Minister will establish an Advisory Committee to provide advice on use of the site. The BCNA believes that the site should be considered by the VPCM to improve the functioning of the area. Port operations would be better protected if there was no residential development at 1-7 Waterfront Place. There is an Environmental Significance Overlay (ESO 4) over the land near Station Pier (1-7 Waterfront Place, 101 Beach Street and 103 Beach Street). 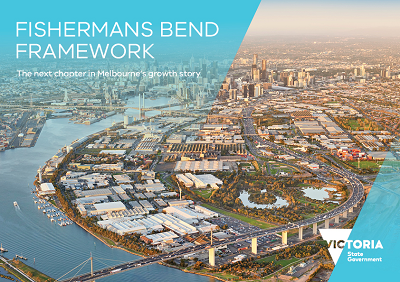 The overlay, which is part of the Port Phillip Planning Scheme, manages potential conflicts between land in the port environs and the adjoining Port of Melbourne. Just reminding BCNA members that the 2018 AGM is next Thursday at 6:30pm in the Sandridge Community Centre and Trugo Club, Garden City Reserve. The Guest Speaker will be Bernadene Voss, Mayor of the City of Port Phillip and a brief report will be provided by The Hon. Martin Foley, MP. Financial members of BCNA were emailed the Notice of Meeting with links to the agenda and other papers on the 1st October. If you can't find the email please contact the Honorary Secretary at secretary@beaconcove.org.au. We have just been told by the Victorian Ports Corporation that HMAS Warramunga will be berthed on the outer west of Station Pier this Friday. She will fire a volley of blank cartridges for sunset. Two volleys will be fired in training at approximately 3:30–4pm and a third volley will be fired at an official reception that will be held on-board at 7:30pm. Thanks to Janet Bolitho, I've just been made aware of another candidates forum which is a bit closer to Beacon Cove, albeit focussed on Southbank and Montague residents. This event will be moderated by the politically astute, Walkely award-winning journalist, former City of Melbourne and City of Manningham Councillor and founder of Crikey.com, Stephen Mayne. Tea and coffee is available from 6pm, for a 6.30pm event start. This free community event is an initiative of the Southbank Residents Association. Forum.org.au is arranging a forum with the candidates for the Albert Park electorate in the forthcoming state election on Saturday 24 November. This is a free event, no tickets, no registration, just turn up. Questions can be submitted in advance at https://forum.org.au/questions/. For further details go to www.forum.org.au. As far as we know there won't be any similar forum in Beacon Cover or Port Melbourne this election - although there was the Transport Forum that told you about back in September.